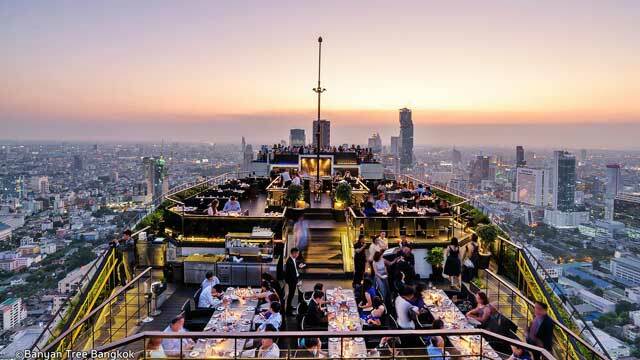 Vertigo & Moon rooftop bar at Banyan Tree Bangkok is located on the 61st floor with an outstanding 360-degree view of the Bangkok skyline and its surroundings. It is a double setting, where the restaurant part is called Vertigo and the bar is called Moon Bar. 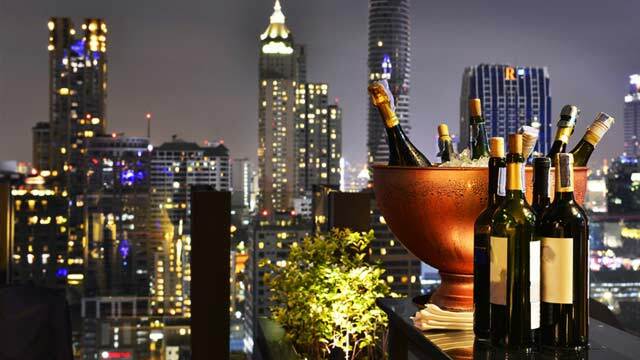 At the Banyan Tree Bangkok rooftop bar you will find the most in terms of beverages. Expensive champagnes, exotic cocktails, beer, wine, non-alcoholic - you name it. Top tip is to enjoy a Vertigo Sunset, and best time for that is, of course, when sun sets over Bangkok. The food ranges from seafood to premium steaks and is also top class. And the price is accordingly. 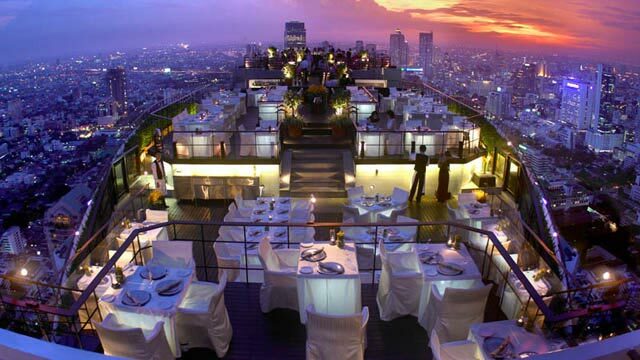 Still, many consider this as the best among rooftop restaurants in Bangkok, that can be found here. And most claim it is definitely worth every penny. But the very best thing about Vertigo and Moon Bar is the amazing view. Breathtaking 360 degree views over all of Bangkok. 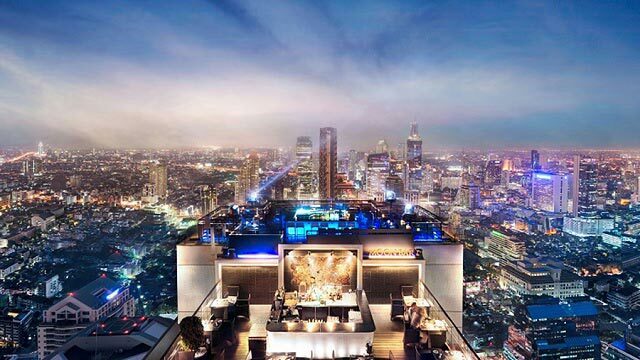 All in all, Vertigo & Moon rooftop bar at Banyan Tree Bangkok is a must to visit. 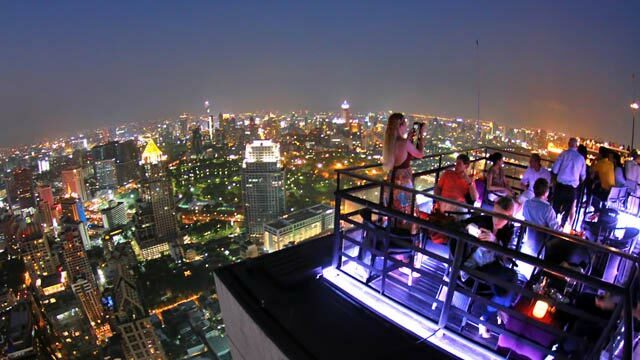 This place is also known under the name Banyan Tree Sky Bar or the Vertigo Sky Bar. What is the dress code at Vertigo and Moon Bar? The Vertigo and Moon Bar dress code is smart and elegant. No sleeveless shirts, shorts, swim wear, flip flops oversized bags etc. 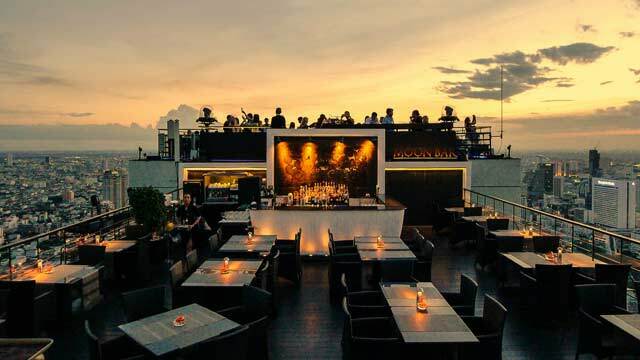 Tip: Enjoy this amazing rooftop and six other dining options along with a great rooftop pool by staying at the fabolous 5-star Banyan Tree Bangkok. Read our review of the amazing rooftop restaurant Vertigo at Banyan Tree, where we spent an evening in April 2017.